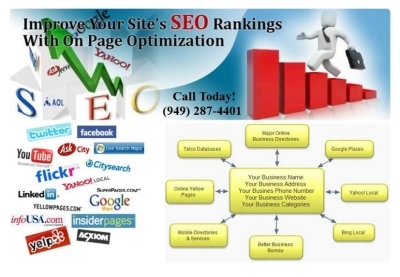 Our senior staff has over 15 years of online marketing experience, as well as over 30 years of IT experience. 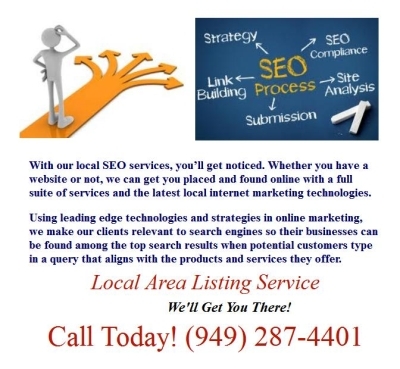 With our local SEO services, youll get noticed. 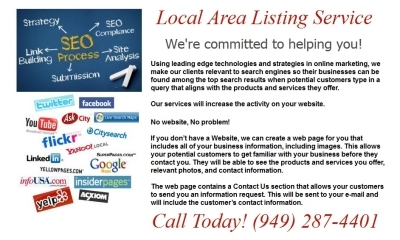 Whether you have a website or not, we can get you placed and found online with a full suite of services and the latest local internet marketing technologies. 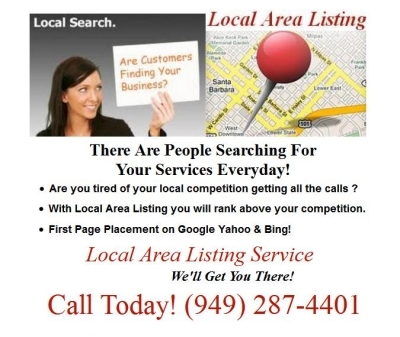 Be the first to write a review for Local Area Listing!